Order your own copy of In the Clutches of Chaos at your local retailer or online through our website today! You thought your mission was simple—discover the fate of four missing persons who disappeared from a charity event hosted by the social elite. But at every turn, you have been forced to face truths more terrible than anything you could imagine. And now, after what you saw at the Unvisited Isle, your faith in humanity is on thin ice. You feel as lost and wayward as one of the spirits that haunt your every moment, whether awake or dreaming. Are you going mad? Is this what the world is now? Or has it always been this way? 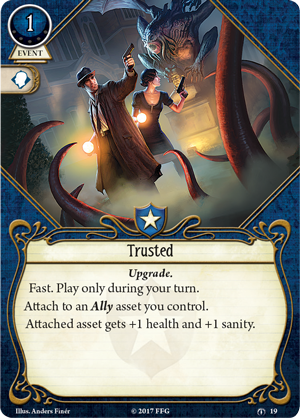 Fantasy Flight Games is proud to announce In the Clutches of Chaos, the penultimate Mythos Pack in The Circle Undone cycle for Arkham Horror: The Card Game—now available for pre-order at your local retailer or online through our website! The conquest has begun. All shall tremble before the host of chaos. Submit or perish. After your fateful investigation in Union and Disillusion, the state of the city continues to decay. 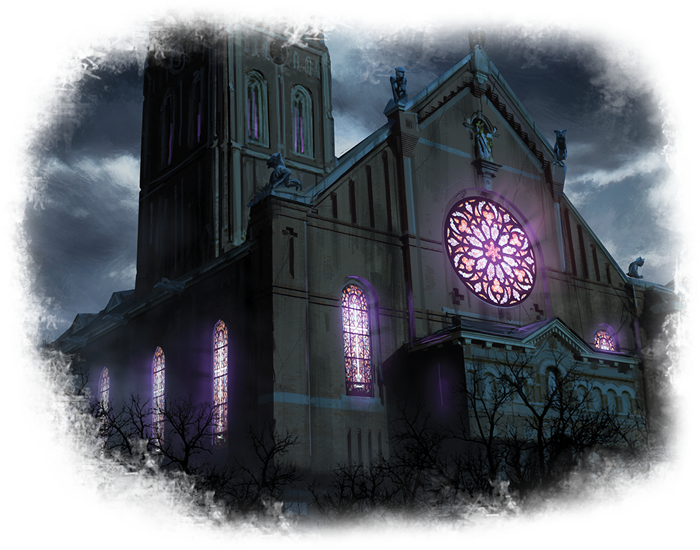 Breaches in reality begin to rip through the fabric of the Earth, and a faint melody of discordant pipes can be heard throughout the streets of Arkham. Tendrils of mist reach out of the woods that border the town, stretching over Hangman’s Brook and crawling through the streets. Windows are shut tight, and if you didn’t know any better, you would swear that the place was a ghost town. Everyone is closed in, safe as possible, waiting for something to happen. Except for you. Always you. As you face down the darkness with In the Clutches of Chaos, doom does not accrue at the usual rate. Instead, breaches are made at various locations like French Hill (In the Clutches of Chaos, 290) and marked by resource tokens. When enough breaches have been made at a single location, in this case Arkham’s richest and most historical neighborhood, an incursion occurs! 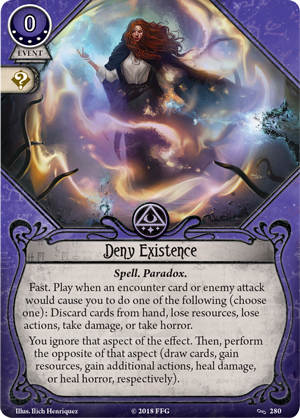 An incursion adds doom to its location and causes the breaches to spread, opening rifts in reality at connecting locations. As an investigator, your goal is to prevent these incursions by removing the breaches that cause them, but this can only be done by activating the dangerous action abilities on each location. 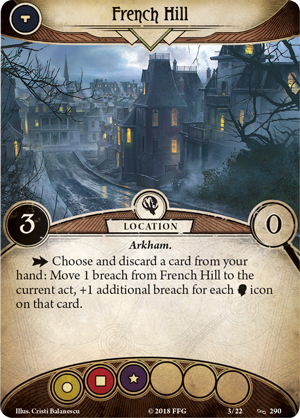 Returning to French Hill, you must discard a card from your hand to move a breach from the location to the current act. 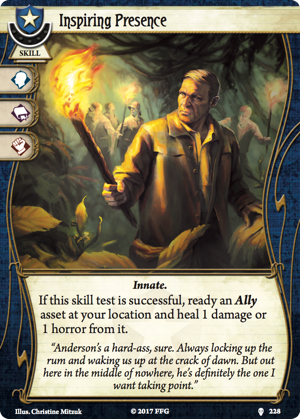 If you don't maintain control over the breaches, you may soon find yourself overwhelmed and Arkham will fall into madness. Naturally, you cannot allow that to happen. Most of Arkham has locked their doors and shuttered their windows against the coming storm, but there are still those who will stand alongside you in your fight to save the city. An experienced Guardian can call for some Agency Backup (In the Clutches of Chaos, 274). 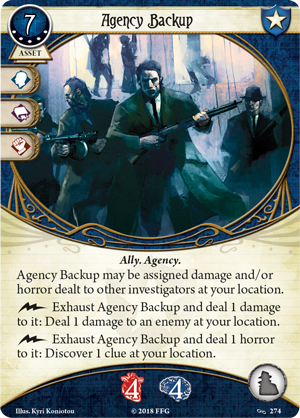 With more health and sanity than any other Guardian Ally, this brave band will protect not only your investigator, but your entire team, taking damage or horror for any investigator at the location. Beyond just using the agency as a human shield, you can also put their skills to use. By dealing them damage, you can harm a nearby enemy; or by dealing them horror, you can quickly discover a clue. 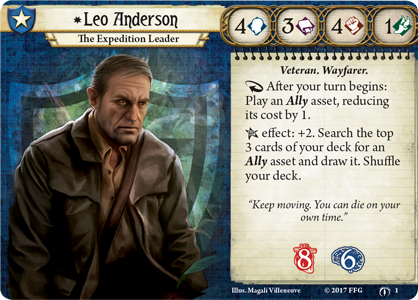 If you step into the shoes of Leo Anderson (The Forgotten Age, 1) and act as an Inspiring Presence (The Pallid Mask, 228) for your Trusted (The Forgotten Age, 19) allies, you can become a nigh unstoppable force that any enemy would be mad to go up against. While Guardians may be happy to run into a situation with guns blazing, Mystics tend to prefer a more practiced approach. 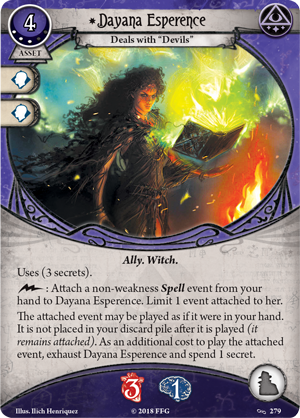 With the assistance of the powerful Dayana Esperence (In the Clutches of Chaos, 279), Mystics can store their Spell events, like the upgraded Deny Existence (In the Clutches of Chaos, 280), waiting for the opportune moment and having this Witch cast them instead. In this way, they are protected from the discard pile, as Dayana can cast them time and again on your behalf. In this adventure, you may wish to stick together, but with breaches erupting across the city, you may have no choice but to split up. Still, there is one class that is used to being alone. 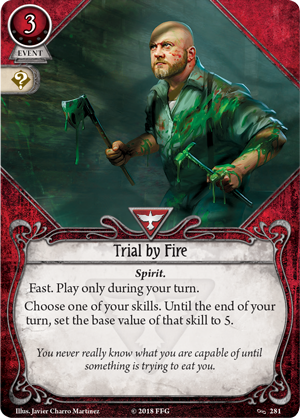 If you take on the role of a hardened survivor, you gain access to a new event in the form of Trial by Fire (In the Clutches of Chaos, 281), which allows you to set the base value of any one of your skills to five for your turn. Now, you can fill whatever role your team needs for a single vital turn, whether that means clearing clues from a location with high shroud or dealing the final blow to a particularly nasty enemy. The ordeal of this mission will push you to your limits, forcing you to endure more than any mortal should have to bear, but there is no telling what you are capable of until your team and the rest of your city turns to you in search of an answer. When you are their last hope, you cannot fail them. You never asked for this responsibility, but Arkham is teetering on the edge of madness and only you can save the city from the judgement it has brought down upon its own head. Stop the rips in reality and save Arkham from the terrors that lurk beyond! 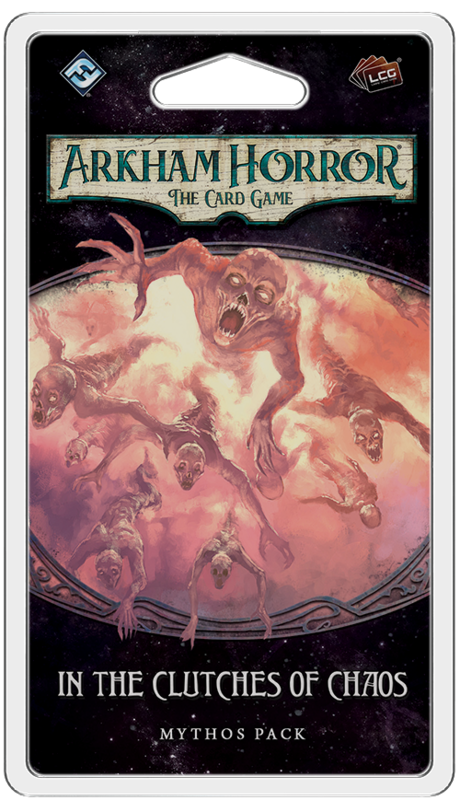 Look for In the Clutches of Chaos (AHC34) when it arrives at retailers in the second quarter of 2019! 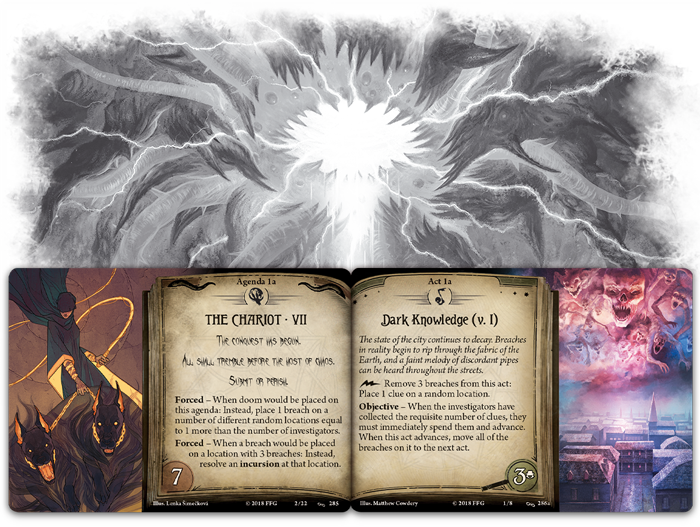 You can pre-order your copy of this Mythos Pack at your local retailer today or online through our website here!